Well my patience was rewarded and I have in my hot little hands a nice old/new grill! Long may half decent Skylines end up in the scrap yard... As long as they not mine that is! 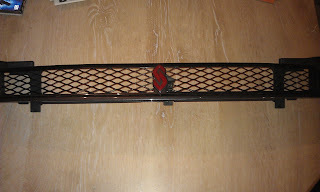 This was my Holy Grail... Perhaps I should call it my Holy Grill! It is in amazing condition for it's age and has all the clips etc. in place still. 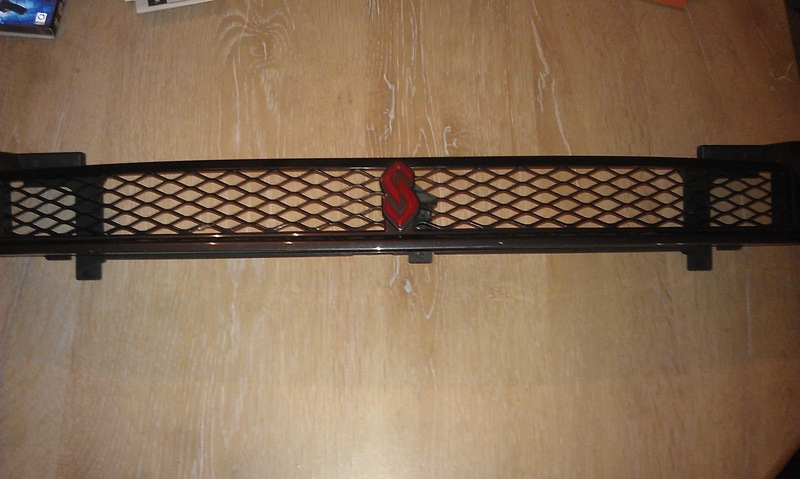 All I thought would make me happy was to be able to obtain a decent Skyline Grill Badge. But as they came with the grill I wasn't holding out too much hope. In the past year I have seen two grills for sale here in the UK. One I have and the other was missing it's badge (although a friend of mine had it anyway). There was another I saw in Australia, although it looked like it had seen better days, having all of its mesh missing (the clips didn't look that much better either). 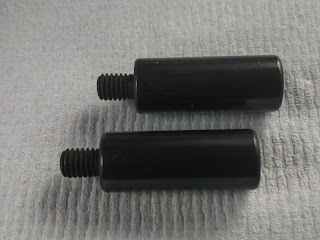 So here is Nissan Part Number F3210-26U00 in all it's glory! 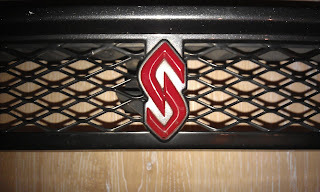 All I have to decide now is if to try and use the whole grill or surgically remove the 'S' logo... Seems a bit awful to remove the logo, paint it gold and stick it on my 'ressurected' grill, no matter how good a job I made of it! You just can't play hard and fast with 'high art'. However I am pretty much of one mind that is what I will probably do. I have a gold theme going on with the external part of the car now and it seems to work pretty good! All I need now is to wait and see if I can locate a gold GTST badge for the rear end. 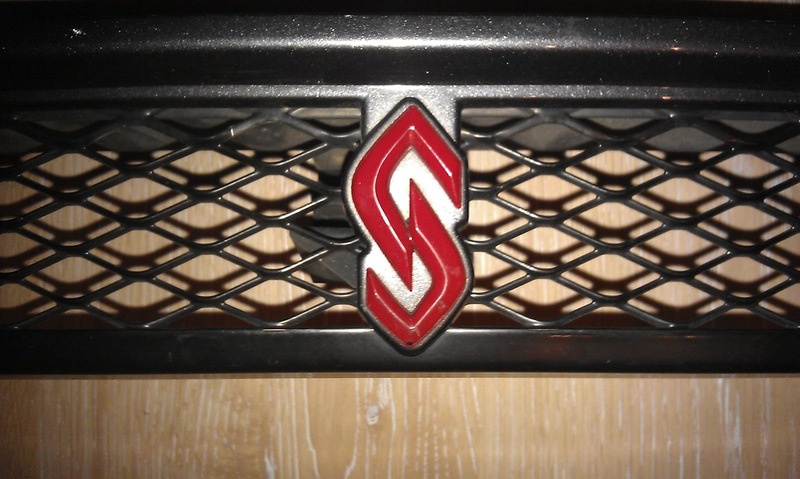 At the moment I have a suitably rare GTS-25T badge in black and chrome.. But it's just 'not' right (if you get my drift). So anyone stumbling across this post, feel free to drop me a line! Is it me? Or is it hot in here? ?